It pays to research both sides of the story… so here is the side you may not have heard. If it sounds too unbelievable, research it for yourself and see what you find. The below article comes from the Natural News. (NaturalNews) Public support for the swine flu vaccine is evaporating by the day as the rationale for the vaccine appears increasingly ludicrous to anyone paying attention. Moms, nurses, day care workers and members of the general public are increasingly realizing that Big Pharma’s rationale for swine flu vaccination just doesn’t add up. Recent polls conducted by the mainstream media indicate that more than fifty percent of moms are refusing to expose their children to the swine flu vaccine, and nurses and health practitioners across the US and UK are going vocal with their opposition to the vaccine. Legal action against the FDA’s approval of the swine flu vaccine is already underway (http://www.naturalnews.com/027205_v…), and public protests are gaining momentum in raising awareness about the primary objections to the swine flu vaccine. Intelligent, informed people everywhere are saying NO to this vaccine! Popular support for the vaccine is crumbling by the day, and health authorities are now turning to exaggerated scare stories to try to drum up demand for their vaccines. Where scientific credibility is lacking, fear is being invoked in its place. So why is the justification for the swine flu so flimsy? It all comes down to these five crucial reasons being pushed by the vaccine industry… but as you’ll see below, each of these five reasons is demonstrably false! Reason #1) The H1N1 swine flu pandemic is dangerous and deadly! Why it’s flimsy: While the infection rate of H1N1 is currently high, the fatality rate is remarkably low. In fact, it’s no higher than a normal, seasonal flu. Reason #2) The vaccine protects you from the virus! Why it’s flimsy: There is absolutely no scientific evidence demonstrating that the swine flu vaccine offers real-world protection against the circulating H1N1 virus. While there is evidence showing that it produces antibodies, as people who have studied vaccine effectiveness already know, the mere existence of vaccine-induced antibodies doesn’t directly translate into functional, real-world immunity! Vaccines are often, in effect, fabricated immunity that often don’t provide practical immune defense in the real world. Reason #3) The vaccine is perfectly safe, even for kids! Reason #4) There’s nothing else you can do to protect yourself from the swine flu (therefore you must take the vaccine shot). Why it’s flimsy: This reason is an outright lie. In order to sell more vaccines, the pharmaceutical industry (and all its bureaucratic cohorts at the CDC and WHO) are intentionally keeping people ignorant of far safer and more effective options such as vitamin D and anti-viral herbal remedies. Yes… a treaty threatening parent’s rights. Please read the following article from the Washington Times, written by Michael Smith of the HSLDA. Afterwards, you can go to http://www.ParentalRights.org to learn more on what this is about. This is ongoing and there are updates on the site – the original article was written a year ago but apparently the issue is gaining momentum. Constitution Week is coming up Sept. 14-18th, and this is the best time to let your representatives hear from you! For a breakdown of the treaty read here. “All good parents are committed to seeking the best for their children, and in the crucial days of the presidential nominating process, many of us are turning our eyes to the years ahead. What will the future look like for our children? Though candidates and voters may have different perspectives on the specifics of achieving a positive future, one thing remains certain: Children need their parents. The overwhelming majority know that parental involvement in the lives of children makes a key difference when it comes to their healthy development, education and positive life choices. In particular, home-school families know firsthand the impact of strong parental involvement in the lives of children. Few dispute the vital role of parents in raising the next generation, but, regrettably, few recognize that the fundamental role of parents is under direct attack. It’s possible that in the near future, the United States may significantly weaken the rights of parents to raise their children. Crucial decisions that parents are accustomed to making, such as what our children read, who they associate with, what kind of discipline is used, whether we take them to church, or whether we home-school, all become decisions for the state if the United States ratifies the U.N. Convention on the Rights of the Child (UNCRC). This frightening scenario could be just around the corner. It’s not as far-fetched as we may believe. The UNCRC, after being approved by the Clinton administration in February 1995, was then sent to the Senate. In the mid-’90s, the UNCRC was opposed by a core group of senators and stopped. The treaty still can be ratified, however, since we do not know who will control the Congress and the presidency in the future. Many parents are completely unaware of the hazards lurking within the words of this treaty. Wrapped neatly within its positive phrases and child-focused language is a dangerous disregard for the vital role parents play in the lives of their children. By allowing the government to define and determine what is in the “best interests of the child,” outside the context of abuse and neglect cases, the UNCRC in effect diminishes the parental role, replacing it with government supervision. If this treaty is made binding upon our country, government officials could be advancing their definition of the “best interests” of your child — even if it means overriding some of our parental choices. Since the U.S. Constitution makes treaty provisions binding on the nation, the only way to defend against the UNCRC, if it’s ratified, is to amend the Constitution. To this end, the Home School Legal Defense Association is actively supporting ParentalRights.org, a new grass-roots movement of concerned parents across the nation. ParentalRights.org is an organization dedicated to ensuring the long-term security of the child-parent relationship. The ultimate goal, however, of ParentalRights.org is to secure a constitutional amendment that will preserve and protect the rights of parents. The parental rights amendment does not add to or change current parental rights — it only protects the rights parents presently possess, ensuring that those rights will not be weakened or devalued. The amendment would ensure that, even if the UNCRC is ratified, your parental rights would still be protected. If you would like to read more about your parental rights and why they need to be protected, visit http://www.ParentalRights.org. Schapelle Corby dying in Bali jail – help bring her home. You may or may not have heard the story of Schapelle. She went to Bali on a vacation with two of her friends. When she got there, the authorities of Indonesia found 4.1 kg of marijuana in her bags… even though a Brisbane airport senior security officer says there is no way she could have smuggled it in from her departure point in Australia without that amount of drugs being detected through all the security checks. This leaves the very ugly possibility that someone in Indonesia planted this upon her arrival. The court trial she was given was a kangaroo court for show only in the opinion of many. 4) they BURNED THE EVIDENCE. To a normal person, this smacks of injustice, politics and hidden affairs. She is paying the price of something bigger going on. She has asked them repeatedly to check the evidence! What criminal does that? Yet no one shows her fairness and her government does nothing. Now she is dying in a terrible, tiny Indonesian jail cell and tries to kill herself constantly. She has been sentenced to 20 years in this place where toilets back up continually into her cell and not cleaned… full of rats, etc… and her mental stability has begun to detoriorate from that of a normal woman. She has tried to kill herself repeatedly. She has already served 6 years here… we must do everything we can to at least get her brought to her home country of Australia. We cannot idly stand by, doing nothing. There are several videos that show the story much better than I can tell it, as well as letters you can print and send, and a petition you can sign. I keep thinking… what if this were me? Or someone I loved? What if all you did was go on a vacation holiday… and found yourself in a situation like this? Apparently it could happen to anyone. We must stand up for her and anyone in the future this might happen to! We must send the message that we are all of the same human family no matter who our relatives are or where we live… we will not tolerate this treatment of others. Please blog it… twitter it… myspace and facebook it… anything we can do to make more people aware. She has been in there six years and last week was the first I had ever heard of it. Thank you for anything you can do to help get the word out. Filed under activism, Miscellaneous (All), news, video and tagged australia, Bali, Brisbane, drugs, dying, evidence, facebook, family, free, girl, government, holiday, home, humanitarian, Indonesia, injustice, Jail, marijuana, myspace, news, petition, politics, pot, rights, Schapelle Corby, treatment, trial, twitter, vacation, watch, word |	Comments Off on Schapelle Corby dying in Bali jail – help bring her home. A warning that the new swine flu jab is linked to a deadly nerve disease has been sent by the Government to senior neurologists in a confidential letter. The letter from the Health Protection Agency, the official body that oversees public health, has been leaked to The Mail on Sunday, leading to demands to know why the information has not been given to the public before the vaccination of millions of people, including children, begins. It tells the neurologists that they must be alert for an increase in a brain disorder called Guillain-Barre Syndrome (GBS), which could be triggered by the vaccine. GBS attacks the lining of the nerves, causing paralysis and inability to breathe, and can be fatal. The letter, sent to about 600 neurologists on July 29, is the first sign that there is concern at the highest levels that the vaccine itself could cause serious complications. More people died from the vaccination than from swine flu. 500 cases of GBS were detected. The vaccine may have increased the risk of contracting GBS by eight times. The vaccine was withdrawn after just ten weeks when the link with GBS became clear. The US Government was forced to pay out millions of dollars to those affected. As you may (or may not) be aware, Laura and Euna Ling are the U.S. journalists who were detained in North Korea and sentenced to 12 years of hard labor. They have been released, however, due in large part to the huge amount of calls, letters, petitions, websites, etc., that many of us assisted with. It does my heart good to see goodness prevail, and it amazes me how humans can come together as one when adversity strikes. I know these ladies are expecially thankful. This post is a personal message of thanks from freed U.S. journalist Laura Ling to everyone who signed the Care2 petition calling for her and Euna Lee’s release. Laura Ling has written a brief “thank you” message that she would like to share with all of those who signed the Care2 petition calling for her and Euna Lee’s release from North Korea. All of us at Care2 are overjoyed to be able to share this message with you! While in detention in North Korea, isolated and scared, one of the things that gave me strength and sustained my faith was hearing about the groundswell of support for Euna and me. You were a part of this incredible movement and for that I will be forever thankful. Through the letters that I was able to receive, I learned about the many beautiful vigils, the LauraandEuna.com website, the petition, the Facebook group, and all the other grassroots efforts to bring us home. I am deeply humbled. In times of extreme darkness and depression, I thought of all of the people, united together, sending us messages of love and hope. I envisioned the light of the candles at the vigils and it brightened my soul. I would not be here today, home and free, re-united with my family (my sister is actually asleep on the couch right by my side), if not for the support from so many extraordinary people. Thank you all from the bottom of my heart. Words cannot adequately express my profound gratitude. While my experience was the most challenging time of my life, I do believe that something beautiful came out of it, and that is the way in which so many people united around a cause for hope and peace. Euna and I are two of the lucky ones whose story of captivity resulted in a happy ending. But there are so many journalists imprisoned around the world whose fate is still undecided. It is my sincere hope that the energy ignited around bringing us home will be harnessed into raising awareness around these fellow journalists and their struggle for freedom. 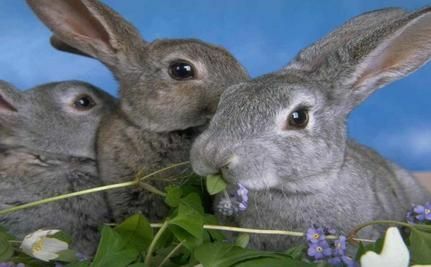 If you haven’t signed it yet, there is a Care2 petition calling on the Akron Municipal Court to punish former Petland employee Elizabeth Carlisle to the fullest extent of the law for deliberately drowning two rabbits at a Petland store in Akron, Ohio on July 28. Her other comments indicate that the rabbits had been allowed to “attack and eat each other” while in the store’s care and custody, and that they had sustained injuries as a result. After being alerted to the photo, PETA asked Petland to investigate the incident, push for criminal charges, review the company’s procedures for treatment and euthanasia of sick/injured animals and stop selling rabbits. Soon after, news reports indicated that Petland officials had permanently closed the Akron store because of the incident, claiming that it will not tolerate any abuse of animals in its care. In addition to signing the petition, people can help animals by urging the company to sell animal supplies—not animals.